Taille de cet aperçu : 510 × 600 pixels. Autres résolutions : 204 × 240 pixels | 592 × 696 pixels. Notes The emphasis on the maternal love of Mary for the Child Jesus reflects the early Christian community's reverence for the Mother of God, and for its understanding of God's love for humankind in sending His only Son to earth to share in our humanity." Source/Photographe adapted from the quoted page. 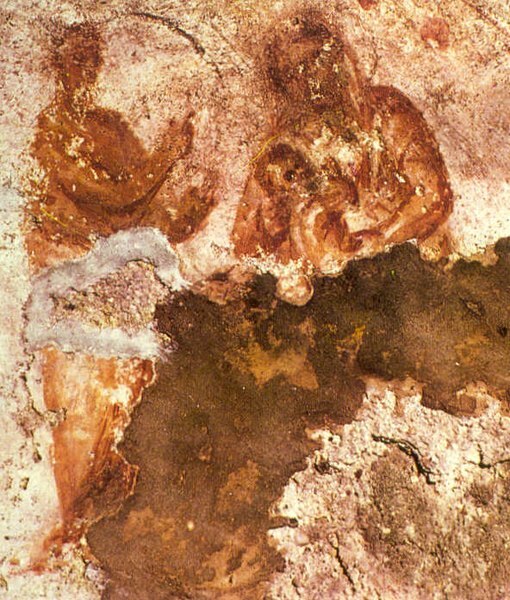 Ce document provient de « https://fr.wikipedia.org/wiki/Fichier:Madonna_catacomb.jpg ».